Hosta ‘Golden Tiara’ is a classic because it was the first small hosta to have gold margined leaves. Golden Tiara grows very quickly and produces lots of flowers… and in my gardens, lots of seed pods, but the seeds do not germinate easily. If you like hosta flowers, Golden Tiara will sometimes blossom twice if you cut off the scapes once the first flowers have faded. Golden Tiara’s leaves are heart-shaped, thin, and a natural slug-bait. 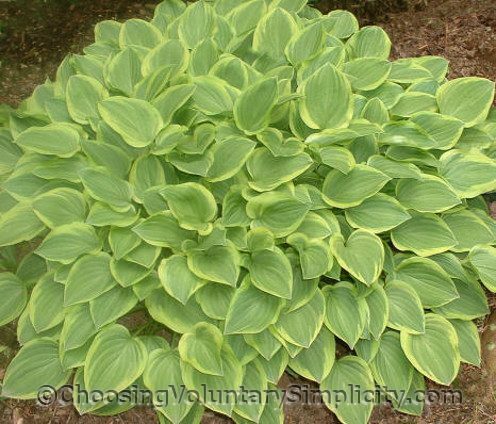 The leaves develop a slight corrugation as the hosta matures. The Golden Tiaras in my gardens look very large and lush, but I bought them all years ago as small plants for less than fifty cents each! Just before Thanksgiving one year, one of the local nurseries still had several rather dead-looking hostas that hadn’t sold, and I offered them five dollars for the lot. For our zone 4 climate, mid-November is late to be planting hostas, but every one of them survived and is thriving today. I call that purchase the best hosta bargain I ever found, because in addition to five Golden Tiaras, there were also more unusual hostas in the group. 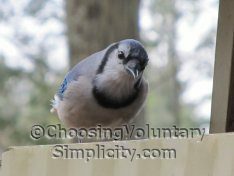 How Do Your Living Expenses Compare with the IRS’s Allowable Living Expense National Standards? That sounds like the deal I just got at Lowe’s. True, the hosta’s don’t look too good right now, but the root system’s are nice so I think they will be ok. I noticed a pile of pots with dirt and hosta’s just thrown in a corner and I asked the clerk what they were and he said they were going to be thrown out. I asked if I could have them and much to my surprise they gave me those and 6 more that were in better shape. If the label’s are accurate it looks like I have some duplicate’s but mostly different. I have planted them and like I said, the root’s looked good. Wish me luck for next year. I tried your suggestion about cutting off the seed pods to get more flowers — and it did work great. I had two times of flowering this year. Great site. I just came back from Lowes with hostas. I read Jojo’s comment and thought why not. I didn’t see any plants that had been thrown away, but I asked someone in the garden section, and they said they thought they had some somewhere and went to ask someone, and sure enough, they did have a throwaway pile that they said I was welcome to if I wanted it. I took all six pots and the labels say they are Patriots. Time will tell. Thanks for all the wonderful info and inspiration. I am very impressed by all the things you people do and the life you live. 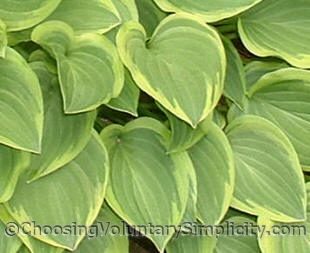 What Do Hostas Look Like When They First Come Up in the Spring?